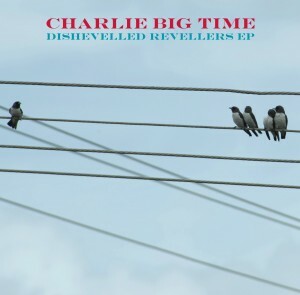 Splendid Matinée debut from admired English band Charlie Big Time! Originally a duo of Matthew Pendlebury and Chris Tiplady, the band released its debut EP on Cloudberry Records in 2007 followed by an album on Series Two and appearances on several indie compilations. More recently, the two met former Aberdeen and Trembling Blue Stars vocalist Beth Arzy and invited her to the north of England to add some vocal magic to their latest creations. The superb ‘Dishevelled Revellers’ is a jaunty tune with jangling guitars, keyboards, and a waltzing chorus, while ‘The Liberation of Love’ is a mesmerizing mid-tempo jewel with dual vocals, more keyboards, and absolutely magnificent harmonies. ‘Real Estate’ features an incredibly catchy chorus, ace harmonies, and a classic guitar pop sound that recalls early Creation Records favorites, and ‘Passion and Headaches’ is a melodic dual vocal masterpiece that brings the EP to an extraordinary conclusion. The EP has a timeless English indie sound with Beth’s lovely harmonies adding the perfect dose of California sunshine so it swings in all the right places. Previous releases received plenty of comparisons to The Smiths but these songs have a more modern approach and fans of Matinée favorites Lovejoy or Trembling Blue Stars and Aberdeen will certainly be delighted. An exceptional EP from another bright addition to the Matinée roster.